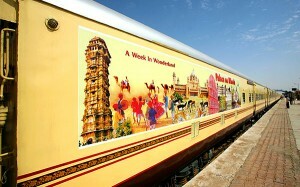 Indian Luxury Train, Palace on Wheels, has been nominated as Asia’s Leading Luxury Train by World Travel Awards. The awards, set up 19 years back, aims to acknowledge and award brilliance across all sectors of the world tourism industry. The Grand Tour of WTA gala ceremonies is widely regarded as milestone events in the industry calendar, and is attended by some of the industry’s key decision makers, chief figure heads and the leading trade and consumer media. In 2012, the Grand Tour sees WTA stage gala ceremonies in the Middle East, Africa & the Indian Ocean, the Americas, Asia & Australasia, and Europe. Palace on Wheels, along with other Indian luxury trains, has garnered a lot of accolades worldwide due to its premium services. The Palace on Wheels faces stiff completion from the Eastern & Oriental Express, besides compatriot trains The Indian Maharaja, The Deccan Odyssey and The Golden Chariot. The winners are announced on the night of the WTA Grand Final in December which will be attended by the leading decision-makers and figureheads from the globe travel and tourism industry. This year, for the first time, the Grand Final will be hosted in Asia, in New Delhi on 12th December 2012. See the nominees list of Asia’s Leading Luxury Train 2012.